Amazon has been in the news a lot lately because of the surging success of its advertising program. Brands are finding that their investments in advertising on Amazon’s properties are paying off, and as a result, Amazon is gaining ground on Google and Facebook from an ad revenue perspective. But there is a major missing link in this story, and one that most brands are missing completely- and it is entirely due to the continued siloed structure of how brands manage and measure their marketing investments. This missing link is costing brands millions in wasted ad spend and lost sales potential. The success of Amazon’s ad business isn’t a surprise. Consumers who are ready to purchase navigate to Amazon’s properties and a brand’s advertising there is well-timed and well-targeted. 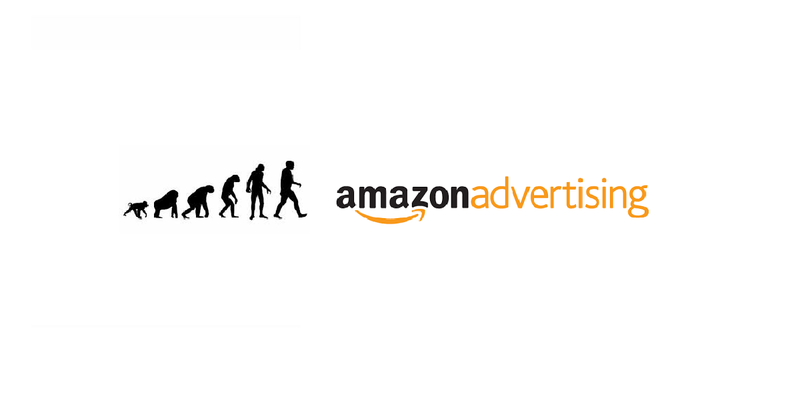 Given the massive number of products and brands fighting for attention in the limitless aisles of Amazon, these targeted ads allow brands to cut through the clutter and catch the consumer at the point of purchase. This is the digital equivalent of your grocery store’s end-cap aisle display or weekly circular where your product is displayed prominently in front of the buyer. Amazon makes it even easier by providing measurement services to demonstrate the sales lift of the ads, and brands line up with their wallets. But there’s something missing from this picture and it is so large, that it is hiding in plain sight. The missing link, of course, is the brand’s other non-Amazon marketing spend- you know, the 99.9% of their marketing budget that they spend outside of Amazon. This part of the budget also drives consumers to Amazon to find a brand’s product, so why should a brand ignore this investment’s role in generating sales of their products on Amazon? If a consumer searches for a brand’s product on Google and decides to go to Amazon to buy it (instead of buying it directly from the brand’s own online store) shouldn’t the Google ad get some credit for closing that sale? Or, when a company invests in “upper funnel” awareness for their brand using TV, display and social marketing, and by way of those efforts, the consumer learns about the brand and then buys at the world’s largest online store, wouldn’t the brand’s marketing team want to measure this halo effect? But, the fact is, virtually every brand in the market ignores this critical link. Why? As it turns out, measuring this connection between a company’s advertising and their sales on Amazon is almost impossible using the most common consumer tracking approaches to marketing measurement. Amazon isn’t going to share consumer and device-level data on their site visitors and buyers. That would be giving away the keys to the kingdom. As a result, brands that rely on multi-touch attribution or similar consumer tracking methods that attempt to stitch together a consumer’s identity across all of their devices will fail to make this critical connection. Only sophisticated econometric modeling approaches- those used by OptiMine at incredible scale and in extreme levels of detail- will uncover the power of an individual ad or campaign to generate revenue at Amazon (or any other retailer for that matter). In fact, when we help our clients understand this connection, the results are both amazing and powerful. Recently, a large consumer electronics brand had OptiMine measure the power of their ad campaigns on their own online store sales as well as those captured by their call center, but also at Amazon. For example, certain paid search and display campaigns generated an extra halo at Amazon of nearly 30%- meaning that the ROI of the ad was 30% higher than if they were to only measure the impacts on their own properties. For some of their campaigns, this moved them from “marginal” to “successful” when accounting for their full effects. For other campaigns, the OptiMine measures indicated that the brands should invest significantly more in these campaigns because they had far more yield than originally thought. These results and those from many of OptiMine’s clients beg the question, “why are you measuring your marketing in silos?”. The key is to measure the full cross-channel effects of ALL marketing investments regardless of where they occur and regardless of where the customer chooses to make their purchase. Once armed with this complete set of cross-channel intelligence, OptiMine’s clients quickly optimize their marketing investments to account for their full potential- and thereby increase their sales. To find out more about how OptiMine can complete this missing link for your brand, send us a note at sales@optimine.com.